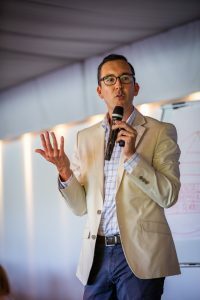 Events | Co.As.It. Community Services Ltd.
Co.As.It. 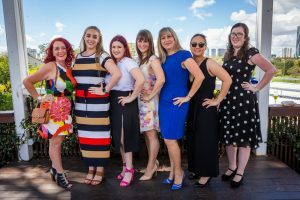 Community Services was proud to be acknowledged as one of only four State Finalists in the Organisation Award on Thursday 14 March 2019 by Leading Age Services Australia (LASA). 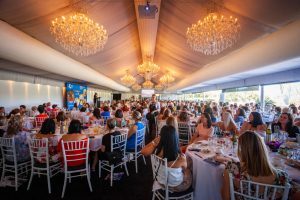 The award ceremony took place at The Star, Gold Coast and was proudly supported by HESTA & McCullough Robertson Lawyers. 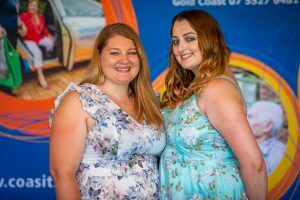 The ‘Excellence in Age Services Awards’ recognise the outstanding achievements of the age services industry and many rising stars from the age care industry in Queensland participated in the event. 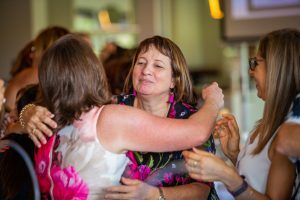 The awards celebrate the passion and achievements of organisations, teams, and individuals in the service of older Australians. Co.As.It. Community Services was nominated on the strength of their initiative and innovation of recent programs. 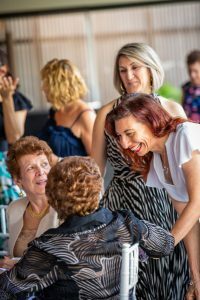 The most notable has been the ‘Adopt a Nonna or Nonno’ Volunteer Program that connects the wider community and alleviates the isolation and alienation of older people. 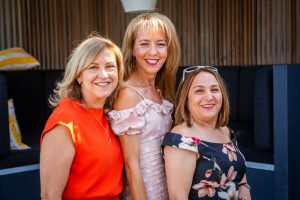 People without grandparents have made inter-generational connections and older, isolated clients now have an injection of new friendships, companionship and social contact. 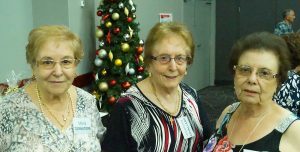 The improvement made on the lives of older people is identical to the benefits derived from volunteer visits under the CVS (Community Visitors Scheme) program.  Co.As.It.’s Allied Health team members innovated the LASER Program (Library of Assistive Specialised Equipment Register), a free service where clients can trial medical aids, specialised equipment and other technology before purchasing. 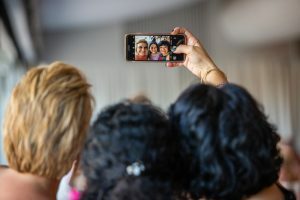 Medical aids and equipment are expensive and the team were very concerned about the number of gadgets and devices regularly abandoned by clients. Disadvantaged, they could not return the devices nor afford to re-purchase something else. The equipment is also available for short-term needs obviating an outright purchase. Clients have continually valued the initiative, making more informed decisions, empowering their right to choose well without risk and expense. The equipment is also available for short-term rehabilitation, obviating an outright purchase. 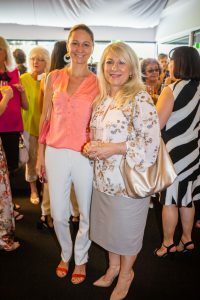 The award night was attended by Co.As.It.’s CEO Dina Ranieri, Tony Brown and Nella Alba. A framed certificate was awarded to Co.As.It. Community Services in recognition of their excellent achievements. Brisbane, QLD. March 11, 2019 – Co.As.It. 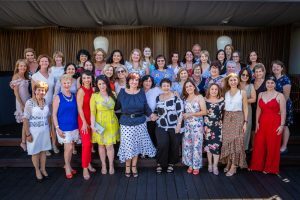 Community Services celebrated its 8th Annual International Women’s Day event with a “Harmony & Delights” Morning Tea on Saturday 9 March. 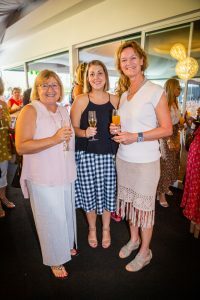 The event kicked off with a “Mingling Hour” for guests to enjoy bubbles and canapes. 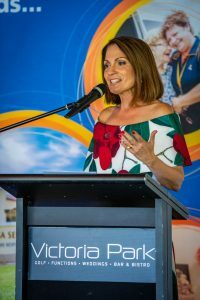 Rosanna Natoli from Sunshine Coast Channel Seven hosted the event and guest speakers, Marcus Pearce and Laura Panarello, shared insights into longevity and dementia, with over 300 guests. Morning Tea delights included delicious scones, quiches and eclairs. 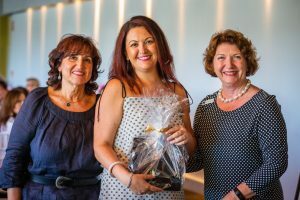 Tania Geerssen was the lucky raffle prize winner, taking home a sparkling diamond ring donated by Crown Family Jewellers. All proceeds went towards Co.As.It.’s Dementia & Carer Support Program. Co.As.It. 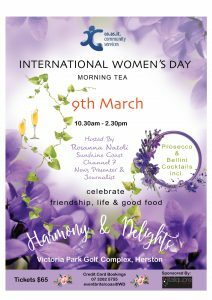 Community Services is hosting the annual International Women’s Day on the 9th March with a Harmony and Delights Morning Tea. 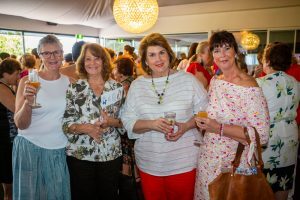 Join us at Victoria Park Golf Complex in Herston to share a fun day that includes generous delicacies, Prosecco and Bellini cocktails and a fabulous event to acknowledge this year’s theme #Balanceforbetter! 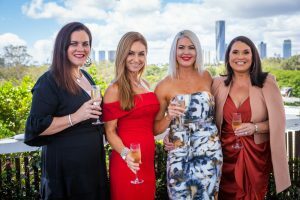 Hosted by the effervescent Rosanna Natoli from Channel Seven you will spend a memorable day with friends celebrating women’s achievements whilst contributing to a great cause. Join in for excellent chances to win a swag of wonderful raffle prizes… all of this is included for only $65! 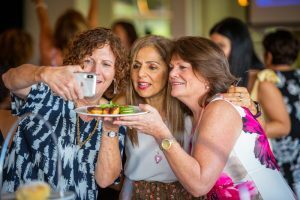 Excellent value and a fabulous way to celebrate friendship, life and good food! Co.As.It. 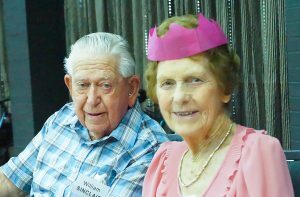 Community Services reached a 40 year milestone in 2018, providing aged care and community services in Queensland since 1978. 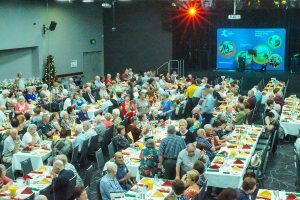 Celebrating this anniversary, a Christmas themed luncheon was shared with over 400 clients at the Kedron-Wavell Services Club in Chermside. The event was held on Saturday 1st December in the Blue Room and the free event was a huge success. The lunch was attended by clients, staff and committee members who were treated to a three course luncheon, live music and a documentary video on the history of Co.As.It. that included an interview with the founder, Fiorenza Jones. 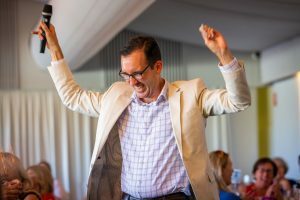 The event featured a lucky table prize of the delicious Italian Christmas cake “panettone” for one guest from each table. Co.As.It. 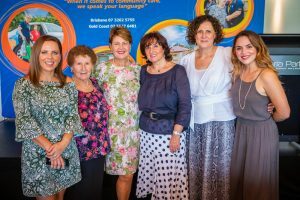 Community Services celebrated its 40th year of delivering services to the South East Queensland community with a Gala Dinner at the Brisbane Convention and Exhibition Centre on 27th October 2018. 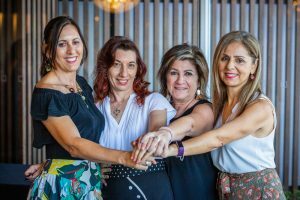 The services go beyond delivering aged care and social support to include the teaching of the Italian language and culture at the Italian Language Centre in Newmarket. 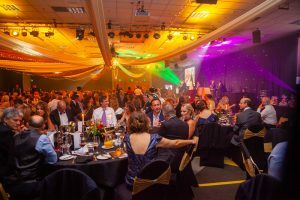 Over 340 guests attended the memorable event including team members and committee members past and present, sponsors, volunteers and VIP guests. 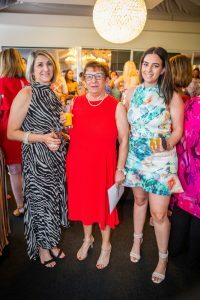 To commemorate the occasion an historical booklet was created capturing the progression over the years, and a documentary was launched on the night featuring an interview with the founder, Fiorenza Jones. Members of the committee past and present also contributed to the documentary telling the story of the past 40 years. During the event a slideshow looped hunderds of images that showcased client social outings, forums, classes, celebrations and festivals, past and present. The president of the committee, Nereo Brezzi hosted VIP’s the Hon. Stirling Hinchliffe, Italian Consul for Queensland and Northern Territory, Dott. Ludovico Carlo Camussi, Jacinta Webb representing Hon. Grace Grace (Minister for Industrial Relations), Councillor Krista Adams, Councillor Vicki Howard, Councillor Norm Wyndham, the Italian Ambassador Hon. Francesco Giacobbe, and President of the Com.It.Es for Queensland and Northern Territory, Mariangela Stagnitti. 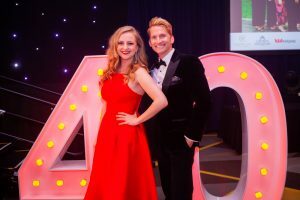 Guests were hosted by the charismatic Damien Anthony Rossi and the lovely Naomi Price. They enjoyed a sumptuous 4 course meal, wines and liqueur. 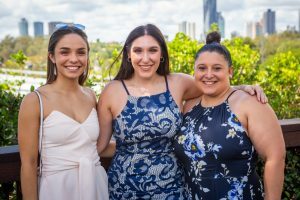 The live music was provided by the talented De Bellis Band from Sydney, the lead singer Claudia Migliaccio was a finalist on The Voice the same year as Naomi Price. Co.As.It. 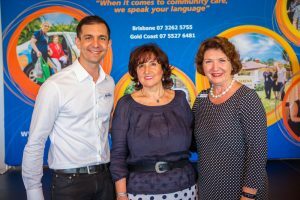 Community Services Inc. is a peak body within the aged care and community services industry which has won recognition for high quality services delivery and excellence in care. Constant research, planning and improvement ensures that Co.As.It. 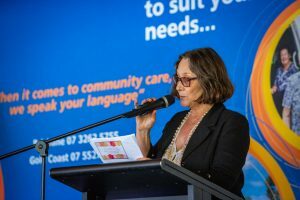 programs and services are relevant, responsive and meet the diverse needs of its clients, especially those from CALD (culturally and linguistically diverse) backgrounds. 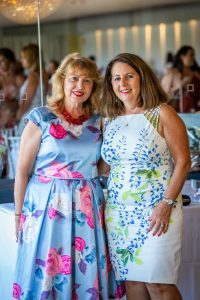 The net proceeds from this event go towards the Dementia Carer Support Program for the CALD community. For more information please contact 07 3262 5755.